After a savage bear market for the oil market for the whole of 2015, the crude oil price has got 2016 off with a bang by plunging to just below $30 before recovering at the last close to $30.68 (WTIC). One does not need to look far for the negative fundamentals that are driving the oil price into dust. Fundamentals such as the sharp slowdown in the Chinese economy, fundamentals such as the apparent oil war that Saudi Arabia is engaged in with the United States shale oil industry and now added to are fundamentals of lifting of sanctions against Iran that can literally immediately flood the oil market with 50 million barrels of crude oil in storage and looks set to up its output by 1m b/d this year. So given such bad fundamentals what are the prospects for the crude oil price for the whole of 2016? Will the destruction of 50% of the U.S. Shale industry be enough for a price turnaround? Will Saudi Arabia and Iran go to War? Will Russia implode? 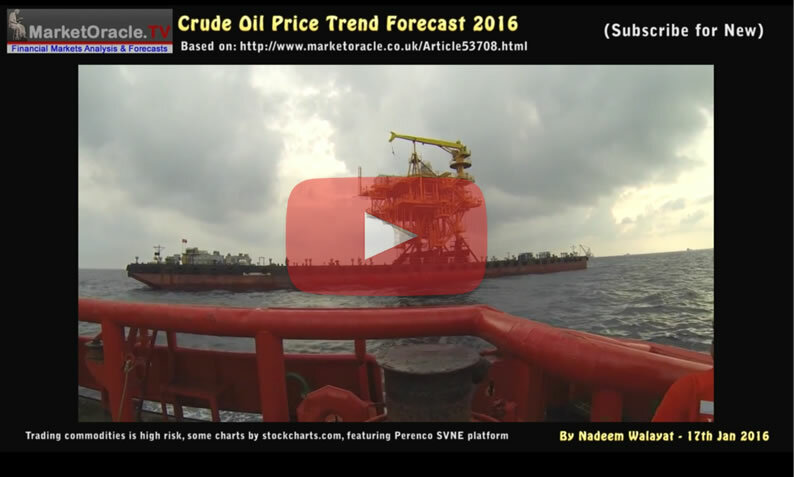 Find out in this video that concludes in a detailed trend forecast for the whole of 2016.